Pat's Garage has been a San Francisco service and repair shop for Scion since it first appeared in 2003. We love these cars - they are economical to own, and economical to drive. We were saddened to learn that Toyota will no longer manufacture Scions. Scion 2016 is the last in the product line. In an interview, a spokesman for Toyota said that the decision was not taken lightly. Many industry analysts suspect that low gasoline prices were a big reason for the decision - Scion was built with fuel economy in mind. As the price of gasoline fell, so did the sales of Scion. The good news is that Pat's Garage will continue to service and repair Scions. 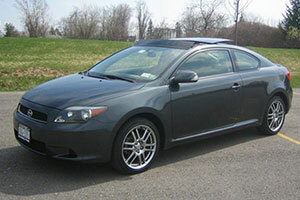 Our experienced ASE certified mechanics an take good care of your Scion. We do not think there will be any parts shortages either - this is a modern car and Toyota manufacturing prowess makes it easy to supply parts "on demand". So while it's sad to see a good friend go, you can enjoy driving your car, knowing that if it needs service or repairs, you can bring it to Pat's Garage, and we will take good care of your Scion.